“We strongly believe in supporting our local businesses to help them thrive, as well as supporting the valued nonprofits doing excellent work in our communities. Giving back is simply a part of our company culture,” says Gary Harouff, president of Advanced Imaging Solutions. 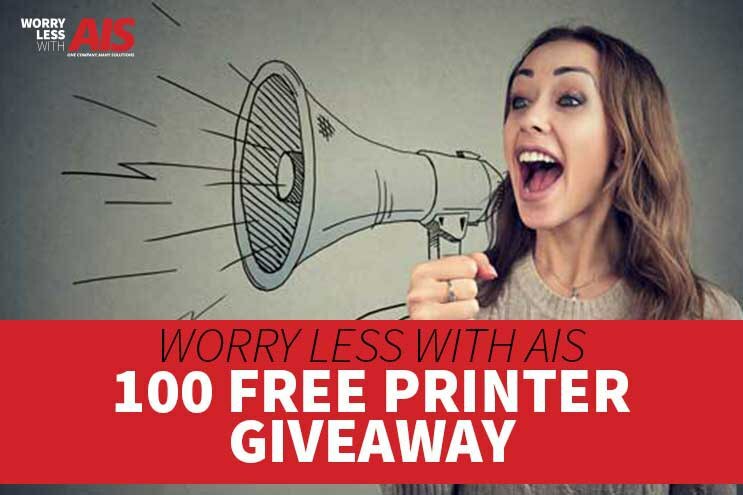 AIS provides a full suite of office technology solutions including copiers, printers, 3D printers, managed IT services, repair and maintenance, document and process management, and VoIP telephone services. Headquartered in Las Vegas, AIS provides services to businesses and organizations throughout Southern Nevada and Southern California. AIS proudly carries a 92 Net Promoter Score (NPS) and a commitment to customer satisfaction. A report by Biz2Credit, a New York-based online marketplace for small business funding, ranked Las Vegas number 23 on their annual “Top 25 Cities for Small Business.” Biz2Credit defined "small businesses" as companies having fewer than 250 employees or less than $10 million in annual revenues. Las Vegas tied with Portland for the youngest average age of business at 44 months, indicating the local startup community is growing. “We are so confident in the quality of our products and service, once a company experiences the AIS difference, they will fall in love with us. Additionally, we are dedicated to giving back to the community, both economically and philanthropically. As office equipment evolves and IT becomes even more critical for business success, we believe that supporting our local community is just as important as the specialized product and IT knowledge we provide,” says Gary Harouff, president of Advanced Imaging Solutions. About Advanced Imaging Solutions, Inc. (AIS) Founded in 2002, Advanced Imaging Solutions, Inc. (AIS) provides copiers, printers, managed IT services, 3D printing, document and process management, copier and printer repair and maintenance contracts, telephone services throughout Southern Nevada and Southern California. With offices in Las Vegas, San Diego, Corona, and Palm Desert, AIS is committed to excellent customer service and business solutions that work. AIS also specializes in meeting the specific requirements and compliance demands in document and workflow management for the education, legal, medical, and manufacturing industries. AIS is the proud recipient of the 2018 NAIOP Southern Nevada Spotlight Honor Award and the 2017 Elite Dealer Award from ENX Magazine. Learn more at www.ais-now.com.